On Saturday 16 March, potential culinary arts student candidates visited the ICA to experience what the life of an ICA student is truly like and to find out what their potential may be after successfully completing such an esteemed, internationally acclaimed culinary qualification. 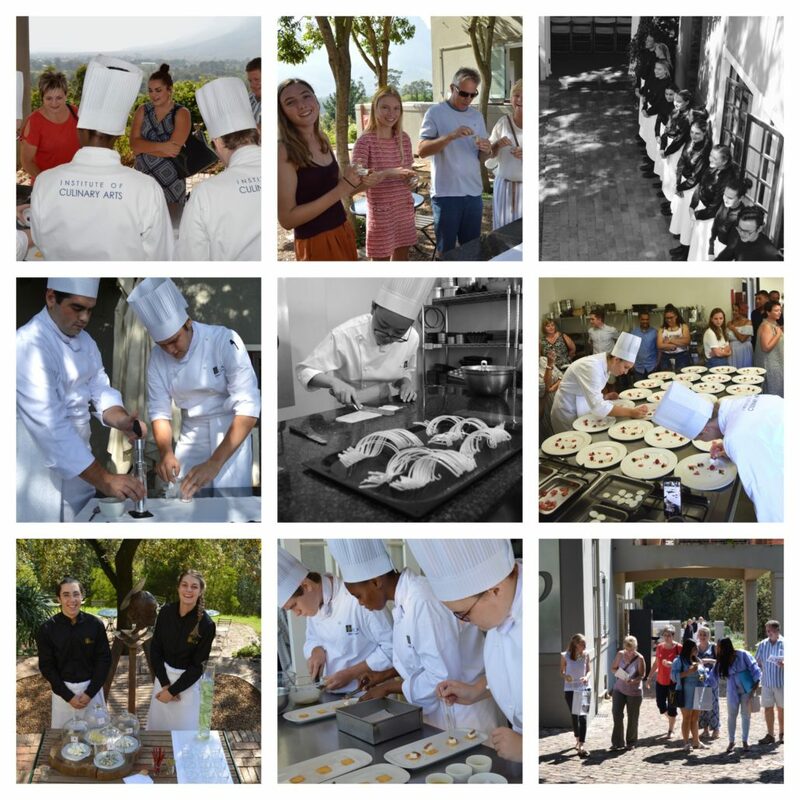 Guests were welcomed to the breathtaking campus just outside of Stellenbosch where ICA first-year students displayed their newly acquired culinary skills. Showcasing what the ICA has to offer potential students – in terms of location, facilities, history and local and international medals – remains a humbling privilege to students, lecturers and staff alike. But the truest testimony to its training excellence is still emphasized by the accolades, awards and recognition achieved by ICA graduates now following this career path in the culinary industry. Because ICA graduates constantly dominate all prestigious South African awards lists and are being celebrated internationally as the best of the best, studying at an Internationally acclaimed school that produces award-winning chefs and culinary professionals year after year ensures your journey to success. The ICA is extremely excited to process all the applications received after the open day and look forward to many successful enrolments to start their culinary journey to the top in 2020.